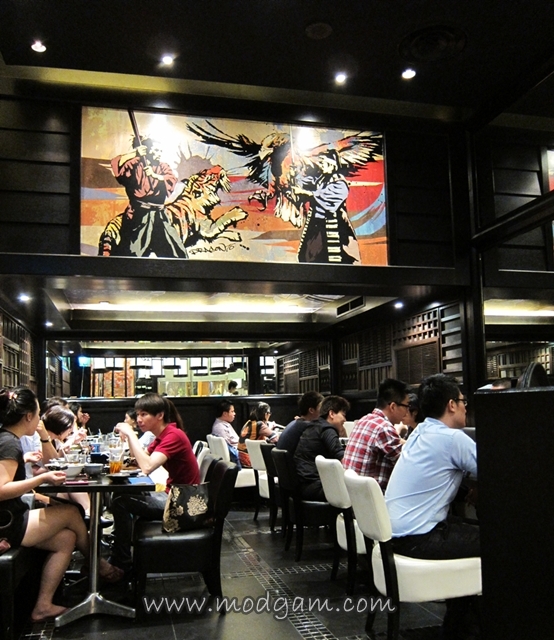 We don’t really frequent Raffles City Shopping Centre but when we do, we will always walked towards Menya Musashi in hoping the queue wouldn’t be too long. Each time we left with disappointment cos there is always a long queue! We got lucky that Wednesday and managed to get ourselves a table. 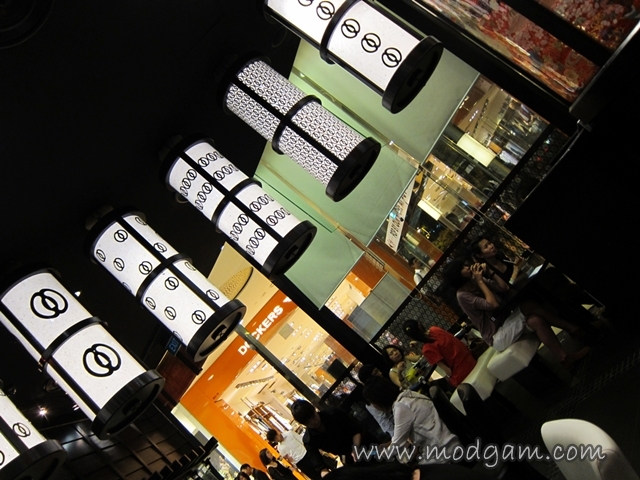 Love the deeply infused Japanese décor, brings back memories of my awesome Japan trip. The cooks were yelling Japanese away and I don’t quite understand what it means, maybe a cheer?? The yelling became a little annoying after a while especially when you would like to dine and chat in comfort. 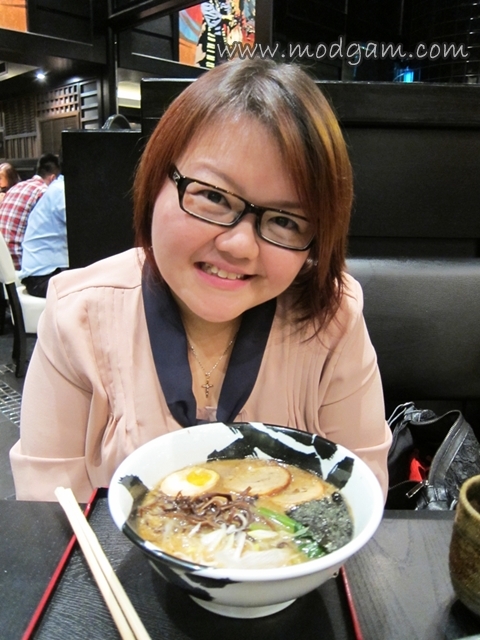 I decided to try their signature dish, Tsukemen S$14.90. You get to choose the flavor of the soup; White Tsukemen (pork), Red Tsukemen (I can’t remember what flavor this is) or Black Tsukemen (black garlic oil). I decided to go for the clear basic White Tsukemen. Lift a small portion of your noodle. 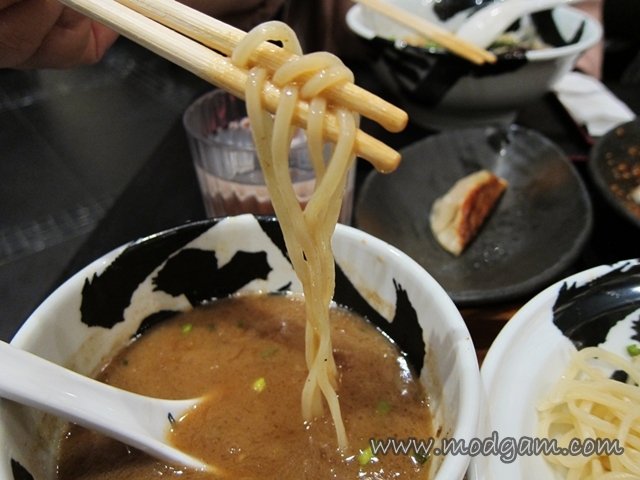 Dip your noodles into the bowl of thick soup. Since this Tsukemen dipping soup is more concentrated in flavor, its a little too salty to drink on its own but as a dip, its really delicious. No wonder the crazy queue everyday! 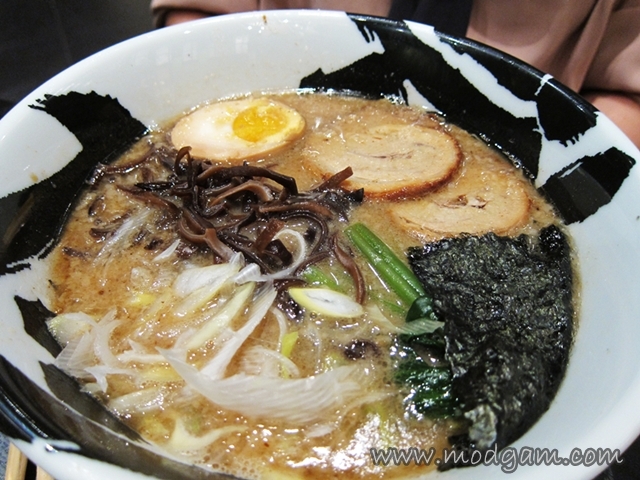 White Chashu S$12.90 – taste as good as the White Tsukemen. Not oily but smooth. 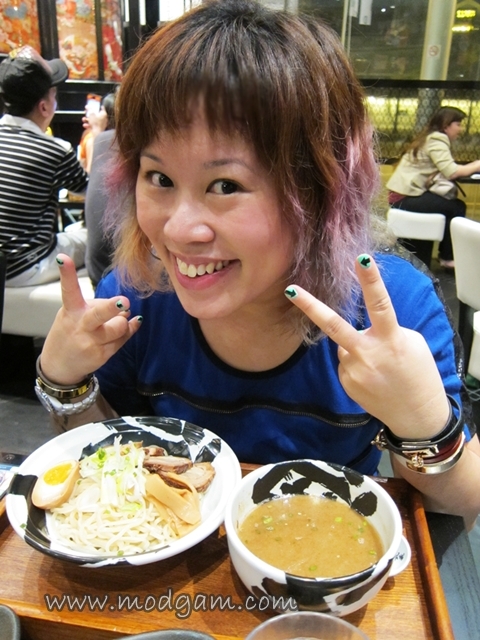 Bud says the Chashu is one of the best she had so far!!! With the slightly grilled charred surface, its no doubt a favorite! 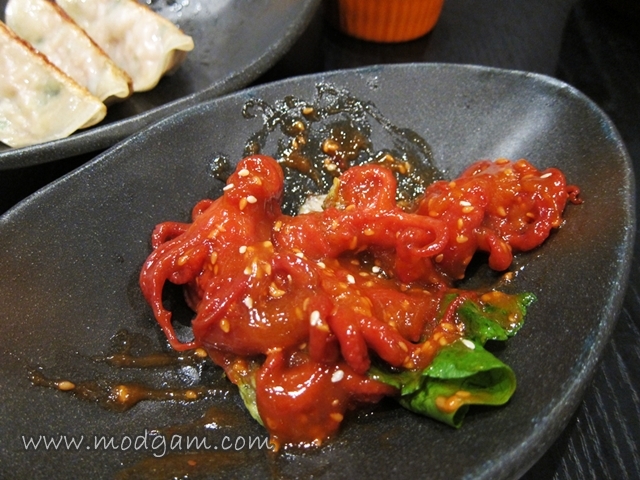 Baby Octopus S$5.90 – OUR FAVORITE! Simply delicious and addictive! 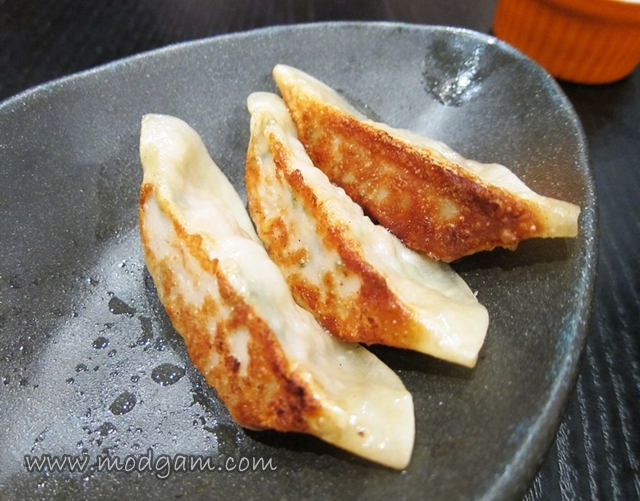 Gyoza S$5.90 – Bud was so hungry she ate some already. Crunchy and is filled with geneous filling. Oh yes you make that food comes from heaven ! ! awwwwwww shiro…. heheeeeee u are so sweet!